After my blog spot for Hardy Amies, my nephew and I were talking about British heritage brands, for which he bought up Lyle and Scott, and wondered why such brands have remained so popular. It is one of his favorite brands and I have a beautifully soft, vintage cream sweater that was given to me at the Campaign for Wool event at London Fashion Week last September. The brand is stocked sporadically across the UK, with its flagship store in London’s Covent Garden (although its pretty small) however Mainline Menswear has one of the biggest selections I have seen. 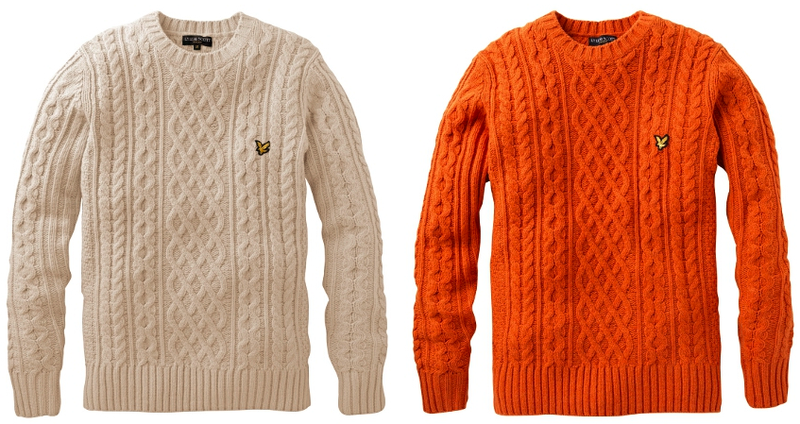 Stocking everything and more than the official website, I think foremost the Arron stitch jumpers are not only on-trend for this season, but are perfect for this horrible damp and cold weather. 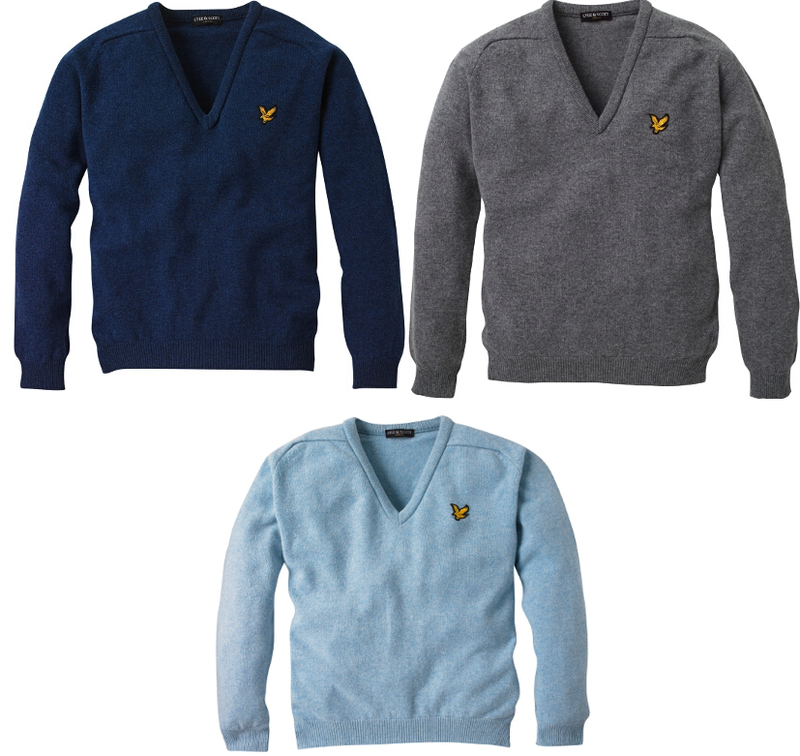 Lyle & Scott began making sweaters in 1874 but it was not until the 1950s that the brand really became popular, spurned after a collaboration with Christian Dior, and more so in 2008 when that eagle logo – born in 1960 – was seen upon many a singer, actor and personality. Yet it is the classic v-neck sweater that the brand is known for. Designed either in classic block pallets or in the ‘golfing Argyle’ pattern, which, should never be worn off the course, the quality of the 100% Scottish wool is incredible, and from my own experience, washes really well. 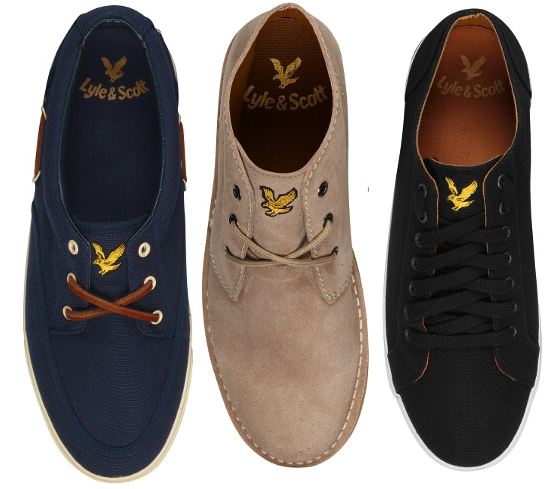 Yet in recent times, the brand has expanded to trousers, jackets, accessories and shoes which bear the discreet eagle logo on the tongue. I think each pair are well constructed classics that are what they are, with no unusual or off-putting detailing that tried to make them individual. 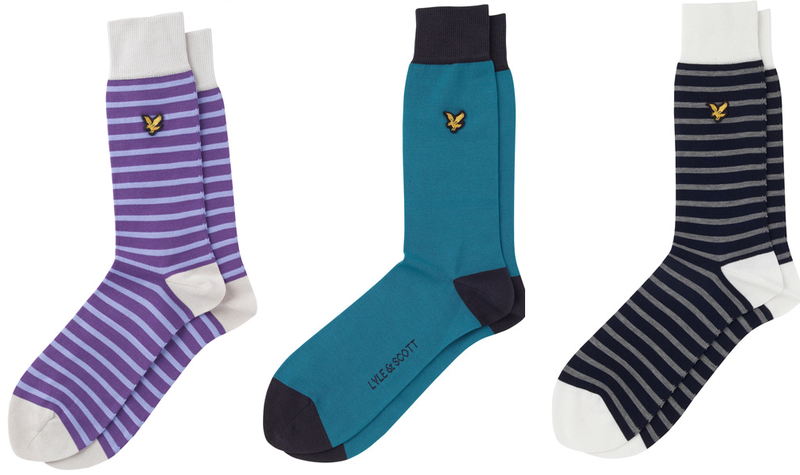 And of course, a classic pair of patterned or colorful socks are a must. Why? Because black and white are great for work, but not for life.